Yeah, yeah, yeah. You know how to declutter, manage your inventory, and depersonalize a space. But a home stager worth her salt is constantly learning. Even having a few budget-saving tricks up your sleeve can make a big difference in keeping your business thriving! Did you know that tossing a couple lemon peels down the garburator can do wonders for the odor? But there are more insider tips that you could stand to have up your sleeve. Stick around to see the staging certification tricks you’ve been missing out on! …instead of buying a brand new bed. Ah, the classic “fake it til you make it” trick. If transporting the bed is an issue, or if your clients do not want to rent out a larger bed during the staging process, this is a cost-effective option for them. All you have to do is ensure the air mattress is blown up properly. Neither half-deflated nor bulging! Then grab some freshly pressed linens and lie them artfully over the bed. The thinner the sheets, the more they reveal about the underlying mattress. Pile on printed pillows and a textured comforter if the air mattress is giving itself away! Power-washing the driveway and repairing the broken step on the porch will make the biggest difference. 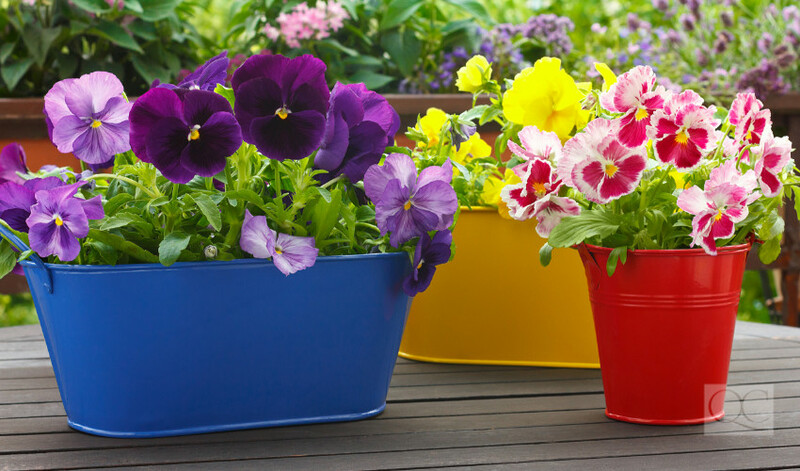 But if your clients are swamped on time, adding a few bright plants with colorful pots can brighten up the front door. You’ll also want to match the ambiance of the rest of the community. Is the neighborhood known for being family-centric? Add a relaxing hammock is cheaper than a porch swing. Both options will make the space look welcoming. Actual lived-in homes will rarely have a systematic color-coordination system. But the sense of organized creativity it imparts will help you sell a house. It doesn’t have to be left to right rainbow colors. But they do need to transition cleanly from one to the next. When the colors clutter up a space, the busyness will close it up. A streamlined closet or home library with vertical lines will elongate the room. We’re sure we don’t need to teach you about the wonders of color. But if you’re heavily redesigning a space, rely on the color wheel. It’s your cheat sheet to becoming a better designer! Swap out bottom-heavy sofas, loveseats, and armchairs. You can’t lie about the dimensions of a space. But you can trick the eye! Swap out those 1970s-style floral-printed sofas. Opt for solid colors on the lighter end of the spectrum and, most importantly, choose ones on legs! Not only will the legs create good feng shui, but they’ll also elevate your room. Sure, the furniture may take up the same amount of physical space, but will it feel like it? Nope! If you’re simply doing a redesign with existing furniture, you can still achieve the same effect. Spruce up their sofa by DIY swapping out the legs! If your clients want to invest in their furnishings, point them in the right direction. Although it’s more of a permanent investment than your standard staging services, there’s no harm in going above and beyond! Don’t completely wipe away all traces of life! 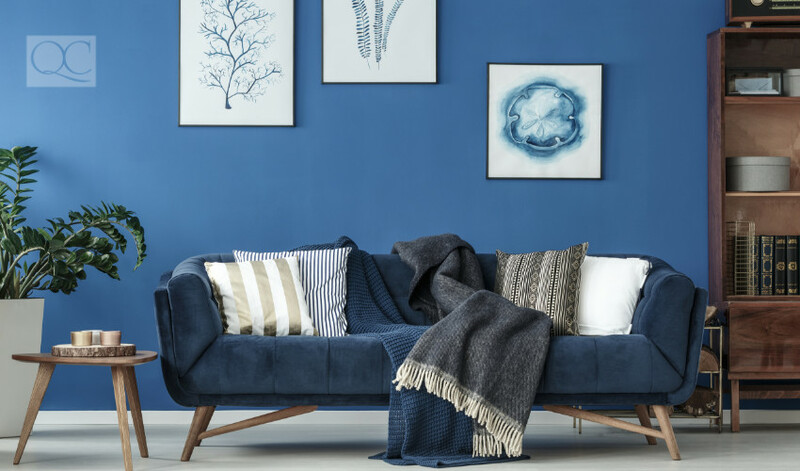 You need to strike the perfect balance when it comes to furnishing a room. You’ll want to have some big pieces that anchor the space. When buyers walk through the rooms, having good-sized furnishings tell them visually just how much can fit in the room. Too much furniture, though, and it can feel cramped. Edit the pieces. If actual furniture pieces sit at a comfortable level, set your sites on the knick-knacks. Do your clients have a bookshelf? Or perhaps an overflowing closet. Assume buyers are going to check behind every closed door. So ensure there’s 30% unused space in all closets and in the many sections of your IKEA KALLAX shelves. Many people think that staging is all about the look. In fact, a professional stager should incorporate other senses including scent! You’ve probably heard about the miraculous freshly baked chocolate chip cookies spray. While it may be a Phil Dunphy staple, the scent of fresh air is much better. Especially since the scent works in every room, you’ll create cohesion between the different spaces. If pet odors are present, first remove all the pet’s belongings from the home. Open the windows to introduce a nice breeze to carry away the strong smells. Next, you’ll attack lingering odors. You’ll want to go in with an odor eliminator rather than a simple air freshener that’ll just rest on top of the doggie smells. Once the smell of pine disappears with the air, the pet odors will stay! So buy a quality freshener that’s pet-safe! You might even want to try a DIY a linen spray! Do your research first, though—some essential oils are toxic to cats and dogs! The bathroom and kitchen are two of the most closely examined spaces during a tour. So you want to ensure that the details are well-minded here. While stylish prints can work well in the living room, you’ll want to keep the bathroom monochromatic. Besides emptying the bin and giving everything a scrub and polish, you’ll need to add some small additions. Glass jars, candle pillars in groupings of three, and fluffy towels! Fluffy towels can make or break a bathroom, especially if the bathroom is dark! Combining the reflective mirrors and light-colored towels is essential to bounce light around the room. 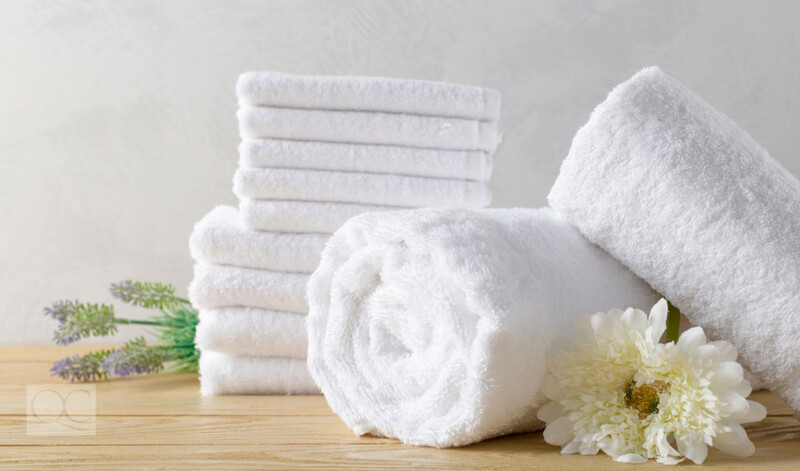 Even if your clients don’t see anything wrong with using the towels they purchased last month, insist on swapping them out for new ones during showings. You want to mimic a relaxing ambiance of a spa. And the final touch? A pristine white robe hung up in the master bathroom! Any other tricks we missed? Let us know! Home stagers also fall victim to slow season. Here’s how to keep your business thriving!